Being introduced to music from a young age, having his first pair of decks by the age of 16, it was only a matter of time before he jumped into London clubland. Once turned 18, Will found his feet in popular South London venues such Cable, Fire and the prestigious Ministry of Sound. Impressing crowds and promoters alike - Will was never short of a booking, playing at some of the most credible events the capital had to offer. It wasn't long before Will landed himself a residency with London club-night Connected, playing at almost every party, most of which being at Cable where he played the last ever set in the recently closed venue. 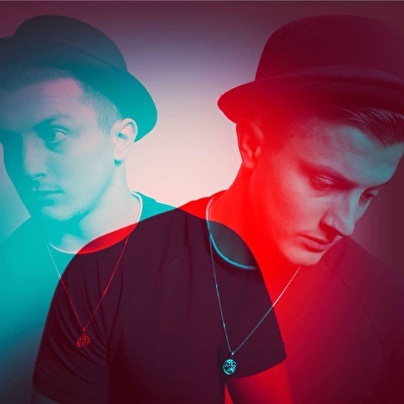 Other venues he has played at include The QUBE Project, Pacha London, Cargo, Great Suffolk Street Warehouse (it was here where Be@Tv streamed Will's main room set to tens of thousands), Crucifix Lane, Heaven, Café 1001, Warehouse and the list goes on… Tearing these places a part week in week out is how Will has played alongside artists such as Nic Fanciulli, Davide Squillace, Matthias Tanzmann, Hector, A Guy called Gerald, Darius Syrossian, Martin Buttrich, Phil Weeks to name but a few! In 2013, Will was selected to play at the newly-cemented We Are FSTVL, taking his rise to a whole new level. He was then invited to play again in 2014 within the 3000 capacity warehouse arena. Now having a firm residency at the undoubtedly biggest Sunday-party in the UK, ABODE at Studio 338, Will has started to becoming a house-hold name within the industry. Seeing his name on the most popular line-ups in London, week in and week out, it really seems like he is here to stay! Although, London isn't Will Taylor's only home; the white isle of Ibiza being his second. Playing at world famous venues like Space, Sankeys, Café Mambos etc, Will has quickly picked up a great Ibiza following and is building a phenomenal reputation across the island. No doubt, he will back there again in the 2018 season with a few surprises up his sleeve. Will's style of music flows between bass-line driven grooves to classic up-beat vocals to pumping tech beats. Will's vast selection of classics as well as the best in underground house & techno is what makes him so popular with every crowd he plays to. You'll be seeing a lot more of Will Taylor in the next coming months and possibly hearing a lot more of him too with some already releases On Resonance Records & CRAFT Underground, he's been working hard this summer in the studio with plenty of releases in the pipeline on some major labels & collabarations with other artists. Keep your eyes and ears peeled for plenty more.